Audio is today and now. Transcripts provide accurate references forever. Don’t mistake something you think you heard. 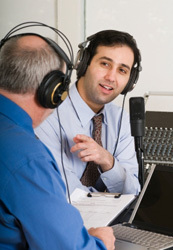 The Bureau, with it’s state-of-the-art equipment and experienced staff, can provide a complete and accurate transcript of either audio or audio/video webcasts, single or multiple voices.